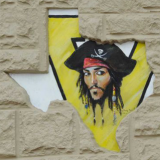 "Harvey recovery is a long-term effort, and we must continue to work together in helping those who need assistance," Kunst said. The City encourages citizens to participate in the development of this CDBG-DR application and to make their views known at these meetings. 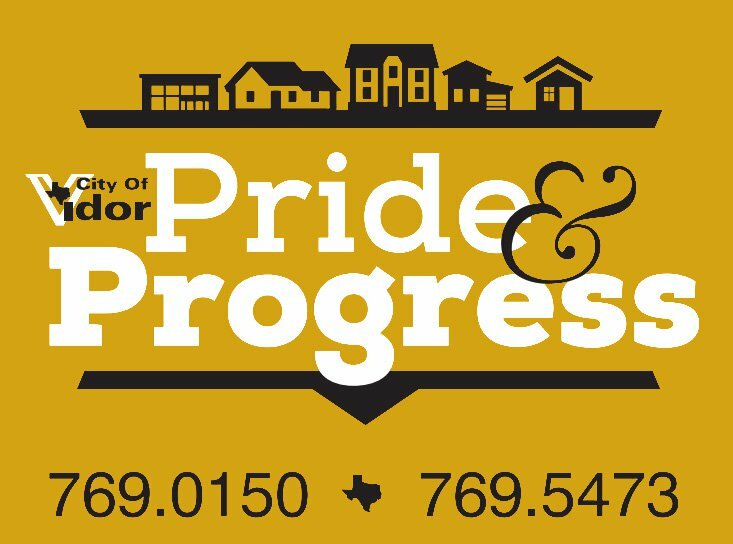 Citizens unable to attend these meetings may submit their views and proposals to Mike Kunst, City Manager, at 1395 North Main Street, Vidor, Texas 77662. Persons with disabilities that wish to attend these meetings should contact the City Manager at (409) 769-5473 to arrange for assistance. Individuals who require auxiliary aids or services for these meetings should contact the City Manager at least two days before the meetings so that appropriate arrangements can be made. 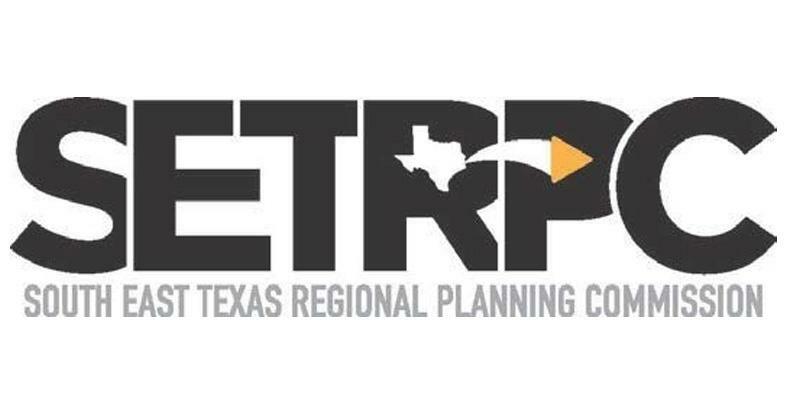 OVERVIEW: In July 2017 the South East Texas Regional Planning Commission (SETRPC) was one of five Texas entities awarded a 3-year grant from the Department of Homeland Security (DHS) on Complex Coordinated Terrorist Attack Preparedness (CCTA) in the amount of $1,076,336. SETRPC partnered with two DHS Centers of Excellence – the University of Houston, who is providing primary grant related support for the project, and the University of Maryland (START), who is conducting research and providing a micro portal site for SETRPC.Great strides in SouthEast Texas Complex Coordinated Terrorist Attack Preparedness have been made in the last year with many more to come in Year 2. The briefing will provide a high- level overview of where we have been and where we are going. There will also be a segment on individual preparedness for citizens and the public is invited to attend. Members of the media planning to attend can RSVP to Steve Curran at scurran@setrpc.org. 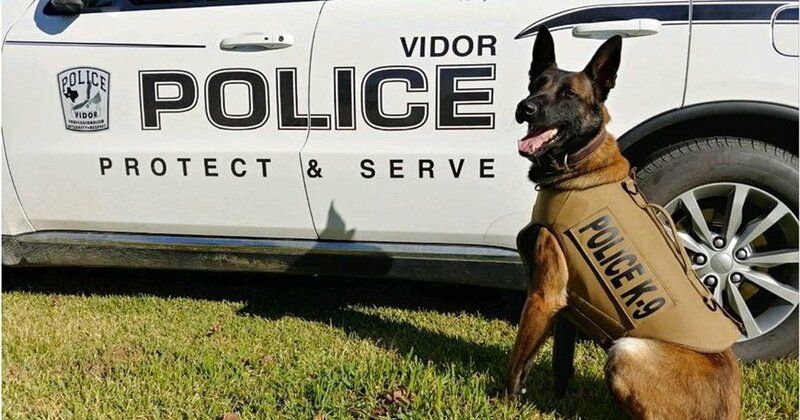 From Chief Rod Carroll - The Vidor Police Department is very pleased to announce the donation of a Ballistic Vest for K-9 Officer Rocky. The Ballistic Vest was donated by Vested Interest in K-9s. Vested Interest in K9s, Inc. is a 501c(3) charity located in East Taunton, MA whose mission is to provide bullet and stab protective vests and other assistance to dogs of law enforcement and related agencies throughout the United States. The non-profit was established in 2009 to assist law enforcement agencies with this potentially lifesaving body armor for their four-legged K9 officers. Since its inception, Vested Interest in K9s, Inc. provided over 3,100 protective vests in 50 states, through private and corporate donations, at a value of $5.7 million dollars. The vest was given in honor of Canton, Ohio K9 Officer Jethro that was killed in the line of duty by a burglary suspect on January 10, 2010. K9 Jethro succumbed to gunshot wounds sustained early the previous morning while attempting to apprehend a burglar inside a grocery store at 1272 Harrison Avenue SW.
Officers had responded to an alarm activation at approximately 1:15 am and located the subject inside. The subject disobeyed officers' commands and Jethro was deployed. The subject opened fire, striking Jethro three times. The man then fled and continued firing at officers, who returned fire. The man was taken into custody a short time later after he was found and suffering a gunshot wound to his leg. He was subsequently convicted and sentenced to 34 years in prison for killing Jethro and 11 years for burglary, with the sentences to run consecutively. 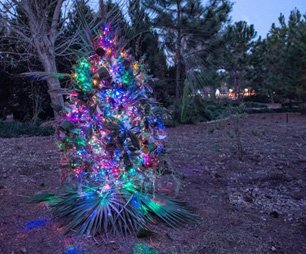 Shangri La Botanical Gardens and Nature Center invites you and your family to stroll through our magically transformed landscapes to enjoy a festive holiday lights experience. Make a Christmas Stroll at Shangri La Gardens a family tradition. We encourage visitors to donate nonperishable food items for Orange Christian Services to support those in greatest need throughout our community.Christmas Strolls will usher in the Christmas season with colorful displays throughout the garden during the evenings of December 8, December 12, 13, 14, 15 and December 19, 20, 21 and 22, 2018, from 6:00 p.m. through 9:00p.m. 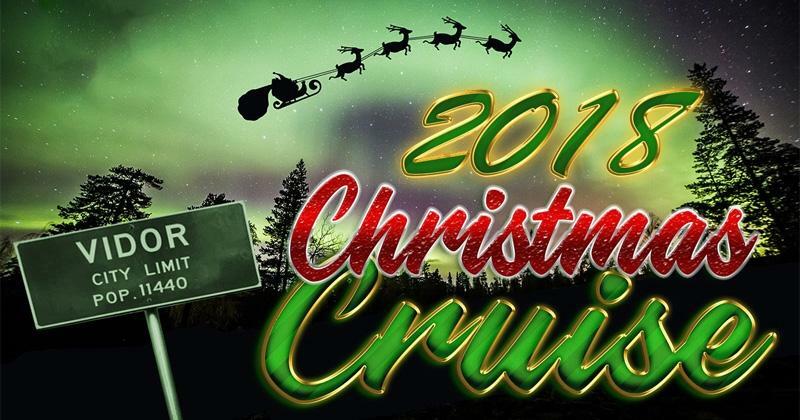 each night.Our Christmas Strolls are a great way to celebrate the Christmas season with family and friends. Come out and see our beautiful Christmas trees created by talented members of the community. Along with the stunning festive holiday displays found throughout Shangri La Gardens, each year members of our community sign up to decorate a Christmas Tree as part of our Community Decorate-a-Tree Event. By signing up to decorate a tree, you'll contribute to the festive holiday tradition here at Shangri La Gardens, support those in greatest need through the efforts of Orange Christian Services, and continue growing this annual event that brings the Southeast Texas community together.To sign up, please download the invitation letter and rules and entry form below. Please read the rules and regulations. If you would like to decorate a tree on behalf of your school, business, church, non-profit, civic group, family or just as a group of friends, please complete the form and return it to us by fax, mail or email to help our community celebrate the Christmas season and be a part of the joyous tradition at Shangri La Botanical Gardens and Nature Center.